A mesmerizing feature in Canadian Hairdresser Magazine! Julie Begin Jewellery in Canadian Hairdresser magazine May-June 2017 issue. 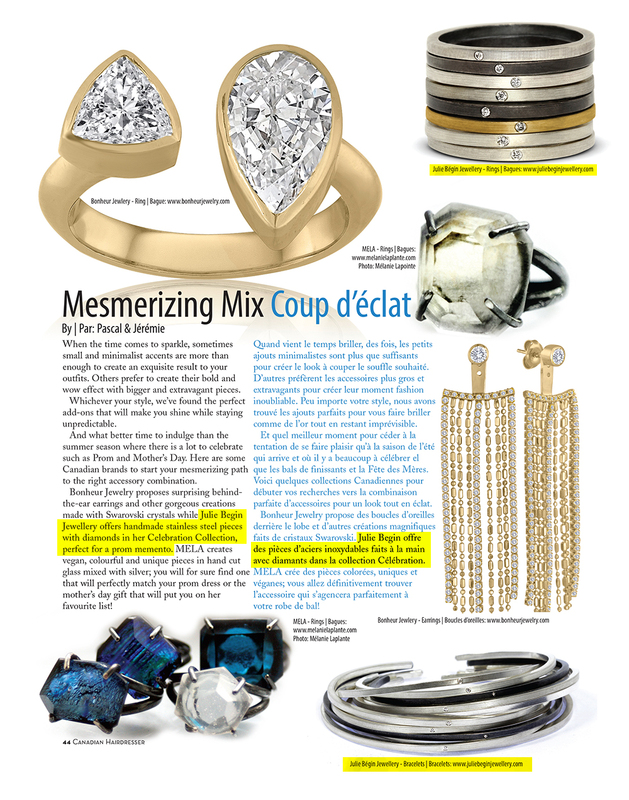 Thrilled to see the Celebration stacking rings and bangles be part of this bright and shiny feature in the current issue of Canadian Hairdresser Magazine! Please note that the Celebration collection is available in sterling silver or 14K gold but not stainless as noted in the article.